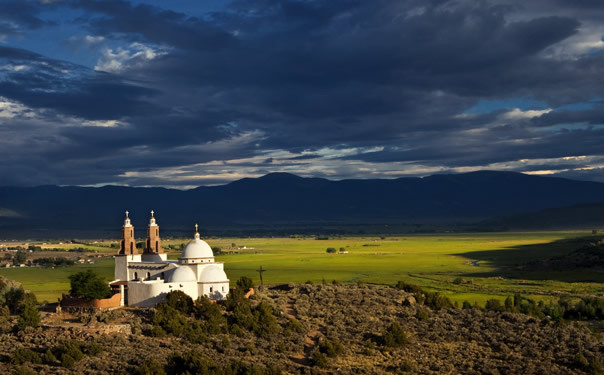 La Vega sits to the southeast of the oldest town in Colorado and is the only Mexican-Era land grant commons in the state. In 1863, villagers living in the Rio Culebra Basin allocated the commons 18 miles south to the New Mexico border. Today, 633 acres of La Vega remains and its fate rests in the hands of local descendants. A commission created in the ‘70s governs the commons, which is still a traditional, uncultivated wetlands used only for grazing cattle and horses for five months out of the year. With a little help over the years from government agencies and the eventual return of younger San Luis generations with knowledge of a world beyond the Sangre de Cristo’s, La Vega and the acequias are still an integral part of the town’s heritage and its future plans.